Gratitude journals will prepare you for greater levels of abundance. At the end of 2017, I faced two major health scares that have changed how I approach my life and my business. In November of 2017, I was sent for my baseline mammogram. I knew at the time that my doctor was choosing to do it a bit early because my aunt had breast cancer. There’s nothing fun about having a mammogram done- those machines squish you and it’s difficult not to be a nervous, anxious mess. A few days later, the call came. They found something and I needed to go back in for additional tests. Panic ensued. Had I not been paying attention to my body? Was I so busy starting and growing my business that I stopped paying attention to the things that I needed to? I went back a few days later and after another mammogram and an ultrasound, they decided that it was just my tissue and to keep a watchful eye on it for six months. I cried at those words and immediate gratitude ensued. I had time that other wouldn’t be so fortunate to have. If you’re wondering “That’s it?”, it’s not. December 2017 rolled around and I already had surgery planned. My uterus was over-sized and despite normal testing, everything felt wrong. Not just in my mind but the pain was like one I hadn’t ever felt. I already knew that the tissue would need to be tested for uterine cancer. Right before Christmas, I was given the all-clear by my doctor that the pathology results came back benign. This began my journey of gratitude. I couldn’t comprehend how in a matter of two months I had managed to escape two major health scares when most people aren’t fortunate enough to get through one. I now begin and end each week by writing in my gratitude journal. Giving thanks has been proven to improve our sleep, decrease symptoms of illnesses, and increase levels of happiness and abundance. List five things you feel grateful for. Be specific. Details will help you to be more grateful. Depth matters more than a lengthy list of superficial things. Don’t do it just to do it. Do it to feel a difference in your life. Get personal. Talk about the people you’re grateful for rather than just the things. Surprises matter. Do your best to record them because they tend to elicit stronger responses of gratitude. What would your life be like without certain people or things? Don’t just consider the addition of particular things, it’s important to consider the subtraction of them as well for gratitude to truly set in. Let the “gifts” into your life. If we don’t take good things for granted, then we will more be more likely to be more grateful for them. Viewing them as gifts is key to this. Revise. Repeat. It’s okay to write about the same people or things, however, try to focus on different details instead of the same thing consistently. Commit. 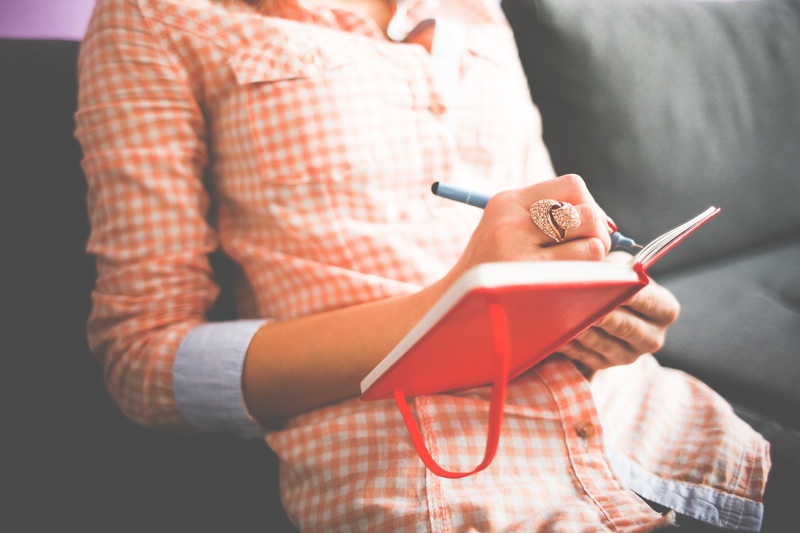 Make it a habit to journal regularly. Don’t it because it’s the New Year or because you want to try it for awhile and see how it feels. Commit- make it a regular practice. No need to overdo it. Whatever schedule you choose to commit to, remember, there’s no need to overdo it. I started out weekly and gradually increased my practice to suit my needs. There’s no right or wrong way- it’s a personal commitment that must work for you. Gratitude brings greater levels of abundance. Are you trying to conquer a new challenge? I recommend trying this practice to let it all come in! Starting your week this way allows you to focus your mind and prepare yourself for all that is come. But don’t just take it from me. Robert Emmons, the world’s leading expert on gratitude, published some research. Gratitude has physical, emotional, psychological benefits, including improved sleep, blood pressure, more optimism, and happiness, higher levels of positivity, more outgoing, and feeling less lonely and isolated. What better reasons than to recount your gratitude? Get writing! She is the Founder of Innovate Women, a community that discusses issues which affect women in the workplace as well as Innovate 50/50, a Gender Equality campaign and mentorship program for women in which the objective is to bring light to the issues that affect women and girls through empowerment and education. Valerie is an advocate of educating men on gender equality and diversity issues, including creating equal, inclusive, and dynamic workplaces. Valerie is a member of SheSource. She has authored numerous blogs, including Forbes, TalentCulture, Careers in Government, ProSky, and more. Valerie has her Master of Public Administration degree from Post University and her Bachelor of Arts degree in Political Science from the University of Connecticut. She has coached numerous women into obtaining successful careers and leadership positions.